Thank you for the invitation to attend the 69th Annual Meeting of the SSVMED Society on Jan 29,2017 in Kosamba.I feel honourad to be on your guest list.Regretablly,however i must inform you that i am unable to attend due to a prior commitment.it is unfortuate that i will miss meeting with you and other members of community as I would have enjoyed that very much. Thank you for your invitr to attend 69th AGM of SSVM.Ed. Society on 29-01-2017 at KOSAMBA. Regret unable to attend. Pray for successful AGM and future progress in all avenues for the society. Thank You for your invitation to 69th AGM which will bw held on 29 Jan 2017 at Kosamba A Y Dadabhai Technical Institute Campus. Trustees and Guests at the stage during 69th annual General Meeting at A.Y.Dadabhai Tech. Institute, Kosamba. Discussion on Agenda work by society President Mr.Salim F. Patel . Annual report presented by society secretary Mr. Muhammad M. Bhana Patel. Society members and invited guests listening the A.G.M. Chief Guest of the function and Member of Parliament Janab Ahmedbhai Patel giving his valuable speech. 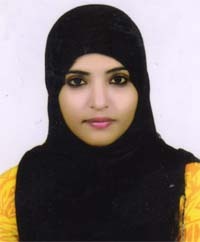 Halima Mohammad Lehri married with Sohel Iqbal kazi at Kosamba. Abubakar Suleman Voraji with wife Sabiha came from Malesiya. Zulekhabibi Ismail Bhaiyat came from S.africa. Haji Iqbal Ismail Bangi went to Dubai. Ismail hasanji with wife returned to UK. Shbiha Ibrahim Patel with husband returned to S.Africa. DEATH (INNALILLAH) : Hashim Ahmed Motala (Addawala) and Yusuf Hasan Mayat Aaliporewala passed away..
GONE TO FORIEGN :Fatemabahen Saleh Patel, Yusuf Muhammad Karoliya (Chacha) and Nurjahan karoliya went to Aalipor,India for visit. 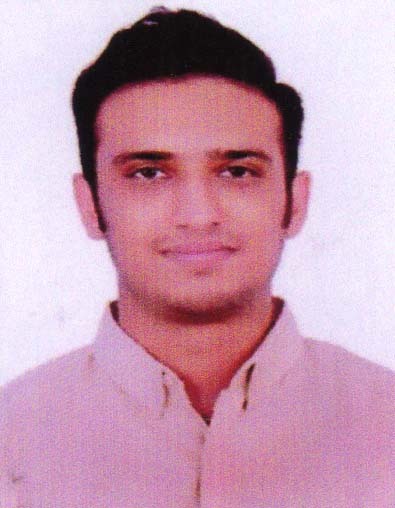 Parin Salim Sidat , residence of Surat Passed M.Pharm (3rd Semester) exam taken through Gujarat Technological University, Ahmedabad with 94%. She also got 1st Rank in University (All College in Gujarat). Congratulations for this achievement and best wishes in future success. Muhammad Faisal Kola, residence of Variyav got First rank in MR.GUJARAT body building competition held at S.M.C. Party Plot, Althan-Bhatar, Surat. Total 90 body buiders participated in this competition from diferent places of Gujarat. Conguratulations for this achievement and best wishes in future success. 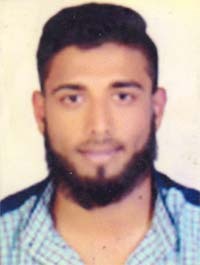 Mohammed Shehzad Sadik Bhaiyyat, native of Sanjali Passed M.S. (Mechanical Engg.) exam taken through New Jersey University of technology at America with 9.0 GPA. He will try to become a CEO in MNC company after completion of M.B.A.(International Law). May Allah S.W.T. complete his expectations in future jorney. 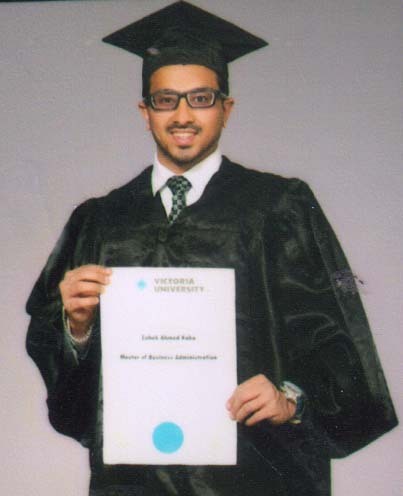 Zoheb Ahmed Kaka , native of Rander and currently residence at Dubai Passed M.B.A. exam taken through Victoria University, Malesia with first class. Congratulations. 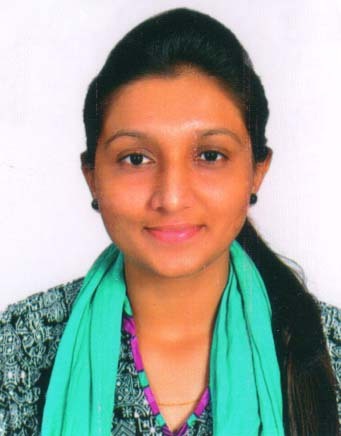 Aysha Yusuf Mia Mayat , residance of Surkhai (Rankuva) Passed M.Pharm. exam taken through Uka Tarsadia University (Maliba Pharmacy College), Bardoli with First Class. Congratulations. 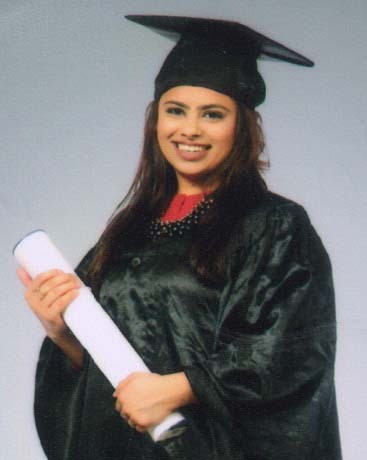 Naziya Ahmed Kaka , native of Rander and currently residence at Dubai Passed B.Com exam taken through Murdoch University, Dubai with first class. Congratulations. 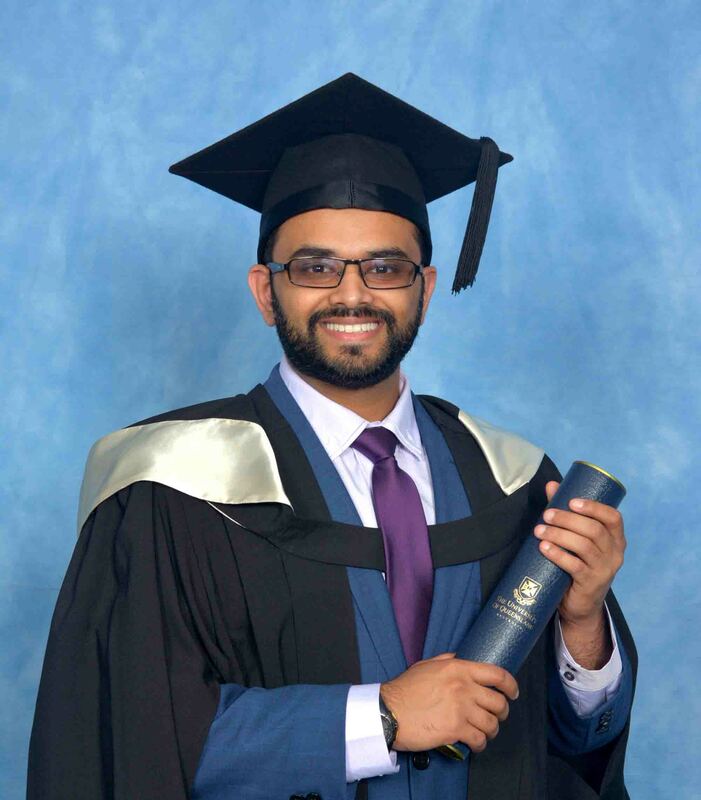 Yusuf G. Muhammad Dalal , native of Mangrol and currently residence at Newzealand Passed B.Pharm exam taken through The University of Queensland, Australia with first class Honours. Congratulations. 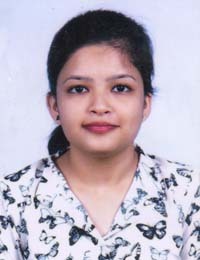 Nabilabanu Iqbal Khanji , residence of Kosamba Passed M.Sc exam taken through Sardar Patel University at Home Scienece Dept, Vallabh Vidhyanagar with first class. Congratulations.